A round of applause was held before kick-off in memory of Maybole Juniors captain Stuart McGrady who tragically passed away last week-end. The thoughts of everyone at the game today were with Stuart’s family and friends. With keeper Brian McGarrity out through injury Glenafton gave a first start to David Buchanan, who had come off the bench last week’s following McGarrity’s ordering off while on the bench was midweek signing Joe Andrew. 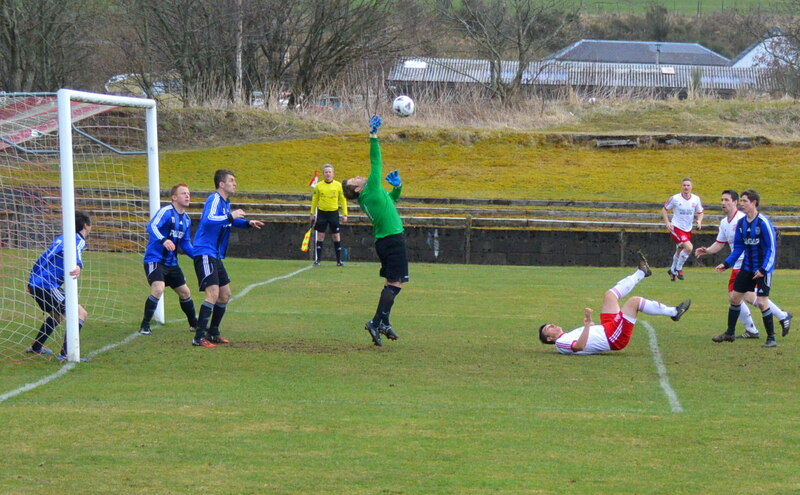 The swirling wind gusting around Loch Park failed to prevent both sides serving up another six goal thriller as they had done in the corresponding league fixture at Portland; however today Glenafton deservedly claimed the spoils as opposed to sharing them. 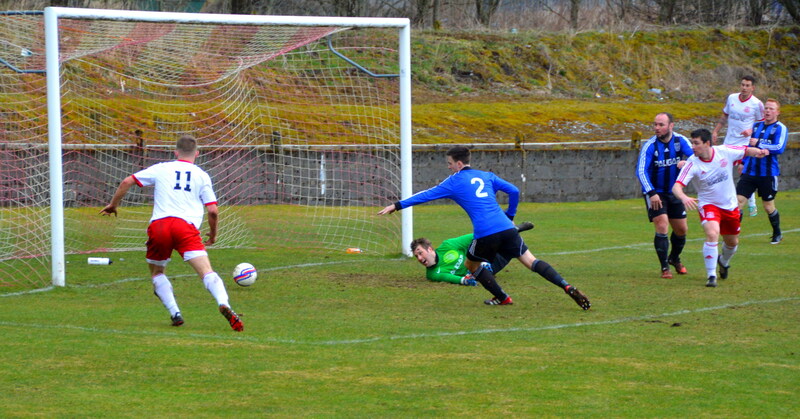 The home side forced two corner-kicks in the opening minutes the second of which ended with keeper Darren Johnston getting an outstretched hand to push Aaron Connolly’s cute overhead kick from the edge of the six yard box high into the air and gather the ball on its descent. Like the wind play was soon breezing from end-to-end and Troon carved out a decent chance when Pat Walker combined with Dale Moore on the outskirts of the box but just as the former Glens striker burst free into box, play was pulled back for a trip on his team-mate and Walker’s free kick was blocked by the wall. 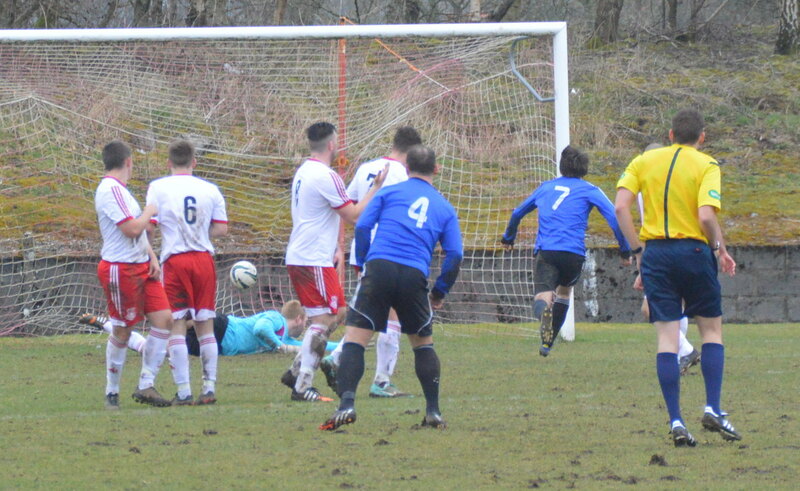 On the 11th minute Glenafton grabbed an early lead. Following a series of ‘no quarter given’ tackles on the right touchline the ball was captured by Jamie McKernon and after driving forward split Troon’s defence with a peach of a pass for Darren McGill to burst free and from 20 yard out chip the ball over the advancing Johnson in some style. Two minutes later the visitors won a free-kick at the edge of the box and Dean Keenan’s effort was blocked by Buchanan before the ball smacked off the base of post before the Glens’ defence eventually scrambled the loose ball to safety. Midway through the half and the home side came within a whisker of doubling their lead. McGill on the left slipped the ball inside to Connolly who in turned rolled it to the right hand side of the box for the incoming Alain Kinney whose shot at goal was blocked by Johnson. The ball was partially cleared before Connolly and Kinney combined again only for the striker to be foiled by Johnson as the keeper got down low to tip the ball inches wide of the post. Chances began to wane at both ends for a period and didn’t resurface until the closing ten minutes of the half. 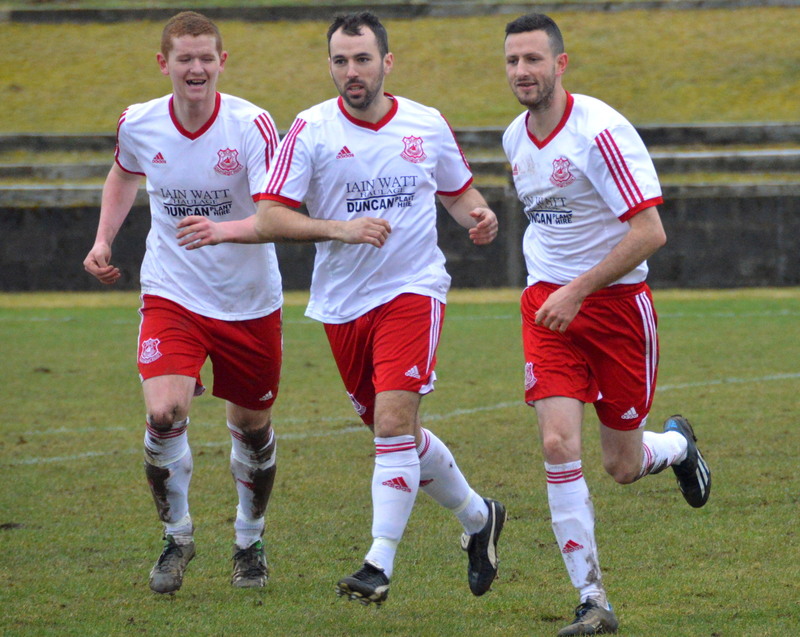 A corner-kick for Troon eventually fell for David Gillies at the back post who whipped the ball across the face of goal where it was met by Stevie Wilson, but under pressure from Glens’ captain Craig Menzies he fired his shot high over the bar. Soon after Glens won possession in the middle of the park through Jamie Hay who quickly found McKernon to release Alan Cairns down the left and his cross into the box was won in the six yard box by Kinney. 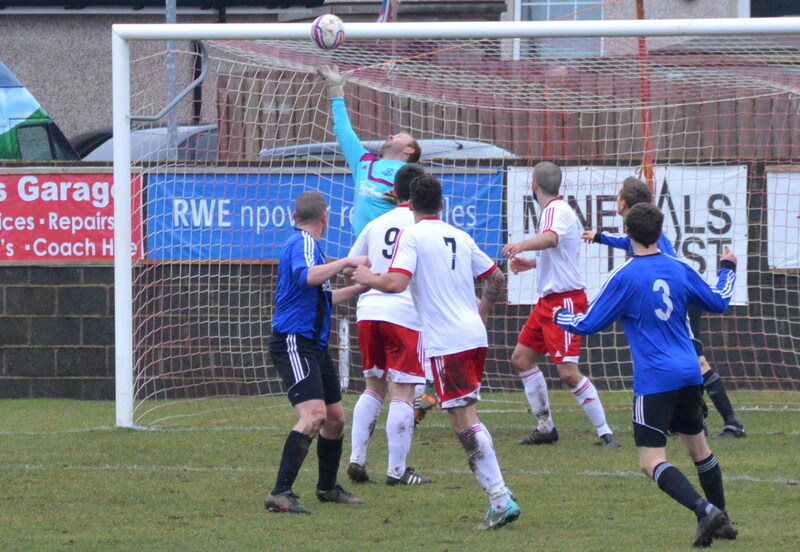 After muscling his way between Keenan and Gavin Collins the striker’s effort was well saved by Johnson. At the other end keeper David Buchanan denied David Gillies with two stunning back-to-saves to ensure the home side went in at the break a goal to the good. If Troon harbour(ed) any thoughts of starting off the second half the way the first had finished then these were quickly quashed. Glens won a free-kick just a few yards out from the corner of the 18 yard box on the right hand side. Up stepped Aaron Connolly to lash the ball beyond the wall and the reach of the airborne keeper and high into the roof of the net. 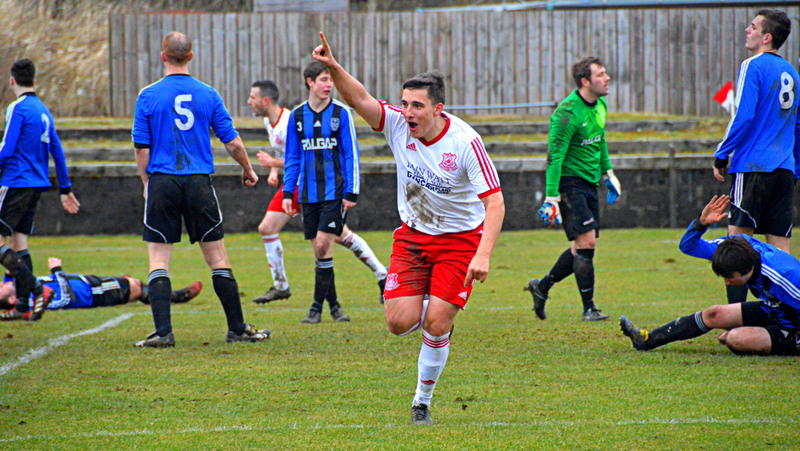 Although the home side continued to press it was Troon who struck next and halved he deficit on 56 minutes after Wilson picked out Dale Moore, the former Glenafton youth player, who turned a defender or two before cutting back from the bye line and lashing home from an acute angle. On the hour mark the home side restored their two goal advantage when McKernon gathered a pass from Cairns on the left hand side of the box and after shaking off one defender thread the ball between three others to set up the incoming Alain Kinney to nip in between two other defenders and give the keeper no chance from seven yards out. 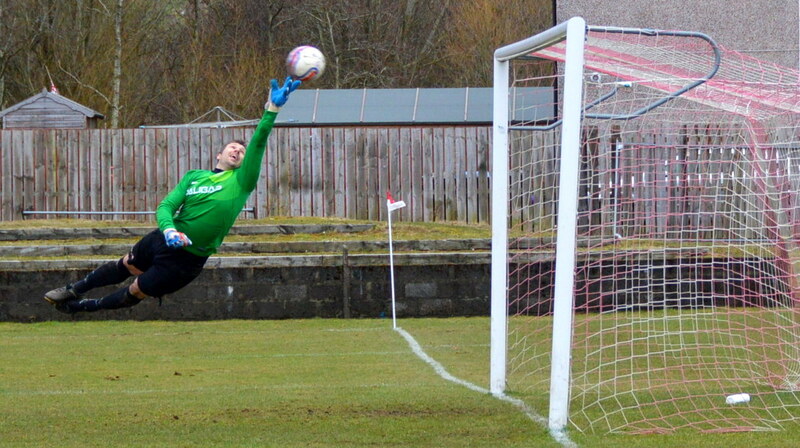 Troon responded well and a Keenan free-kick from distance was pushed away by Buchanan and substitute Craig Harvey headed the rebound over the bar. On 68 minutes Dean Keenan was impeded at the edge the box and regained his composure to drill the resultant free kick low and hard past the wall and beyond the reach of Buchanan to reduce the deficit to one. Glens passed up the chance to strike back from the kick off after another determined run by McGill into the box leaving Collins in his wake only for the midfielder to be caught in the two minds of shoot or pass, with the pass option just taking the ball beyond Kinney. 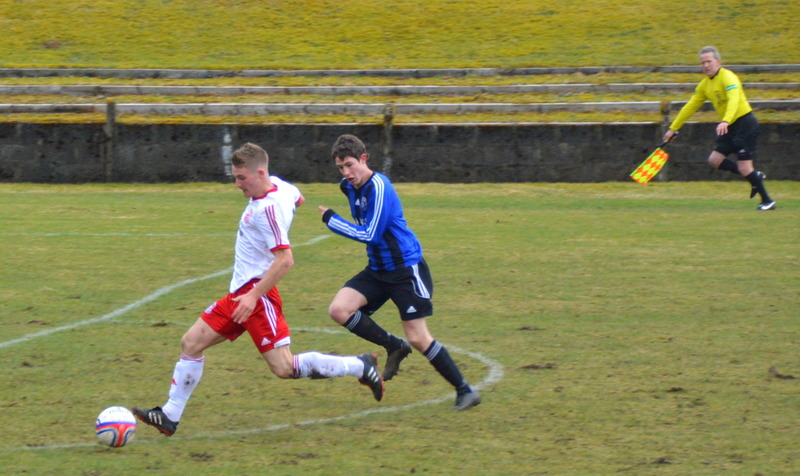 Back upfield and Martyn Cairns’ cut back from the bye-line caused a degree of panic in the Glens’ six yard box with both Buchanan and Gillies scrambling on the ground to try and gain control of the ball before Daniel Orsi stepped in and booted the ball to safety. 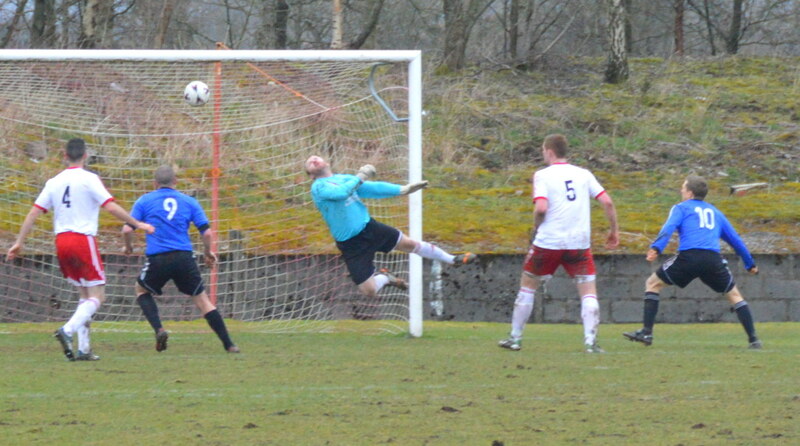 A Gillie’s effort then flirted with the crossbar as the visitors when in search of the equaliser. Alan Cairns had to hobble off having failed to recover from an earlier knock and was replaced by Joe Andrew with the new signing making an immediate impact. On 73 minutes Kinney’s header from a corner-kick was headed clear off the line by Tony Murphy before Andrew drilled the ball into the mix and Aaron Connolly was first to react and guided the ball past three defenders on the line to repeat the feat of doubling the home side’s lead again. Play continued to flow from end to end and Buchanan comfortably clutched a close range shot from Harvey while his counterpart Johnson did well to push away a shot from Andrew after a good run into the box. Substitute Michael Reilly then raced down the right and his cross was met by Moore at the near post and although his header seemed net bound the ball clipped off McGeoghegan. The corner kick found its way through a mass of bodies and fell for former Glens’ striker Reilly only for his close range shot to be blocked by Andrew. Both teams made changes with the home side bringing on Michael Wardrope and Craig McGuffie for Orsi and Connolly while Troon brought former Glenafton striker Gareth ‘Bo’ Armstrong on for Moore.